← What Does the Bible Really Say About Hell? Christians are at least somewhat familiar with the so-called “Ten Commandments” that were spoken by God through Moses in the book of Exodus (Ex. 20:3-17), but what most Christians don’t realize, is that these are not the actual Ten Commandments written on stone tablets that were placed in the Ark of the Covenant. God never called the commandments mentioned in Exodus 20, the “Ten Commandments”. 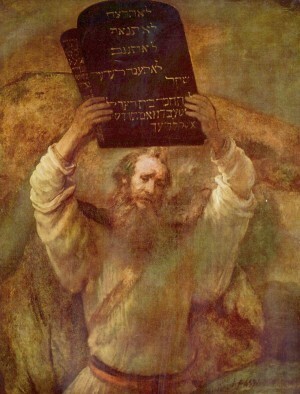 The real Ten Commandments (so-named by God*) were listed in Exodus 34:14-26. As you can see below, they are quite different than the ones that some Christians are fighting so hard to put up in our schools and courtrooms. X. Thou shalt not seethe [boil] a kid [a young goat] in his mother’s milk. This entry was posted in Bible and tagged Christians. Bookmark the permalink. Kurtis Karr's Blog > Christianity > Bible > So You Think You Know the “Ten Commandments”?